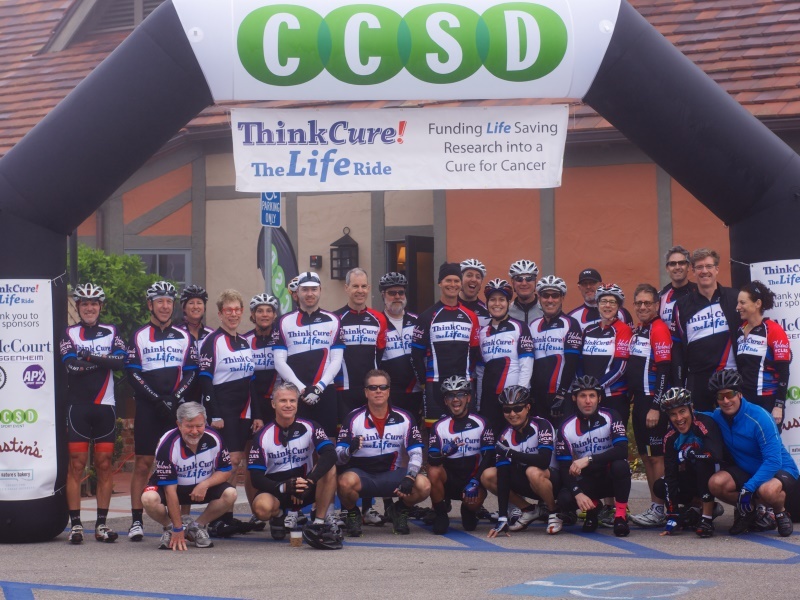 The Life Ride is a new two-day cycling event which raises funds to support cancer research. The event was inspired by the Pan-Mass Challenge on the East Coast, which has raised $1/2 billion for cancer research since its inception in 1980. The inaugural edition of the Life Ride saw 24 riders raise $80,000 (excluding $50,000 in underwriting sponsorships from the Los Angeles Dodgers and McCourt Global). The long course of day one combines Figueroa Mountain with Jalama Beach. 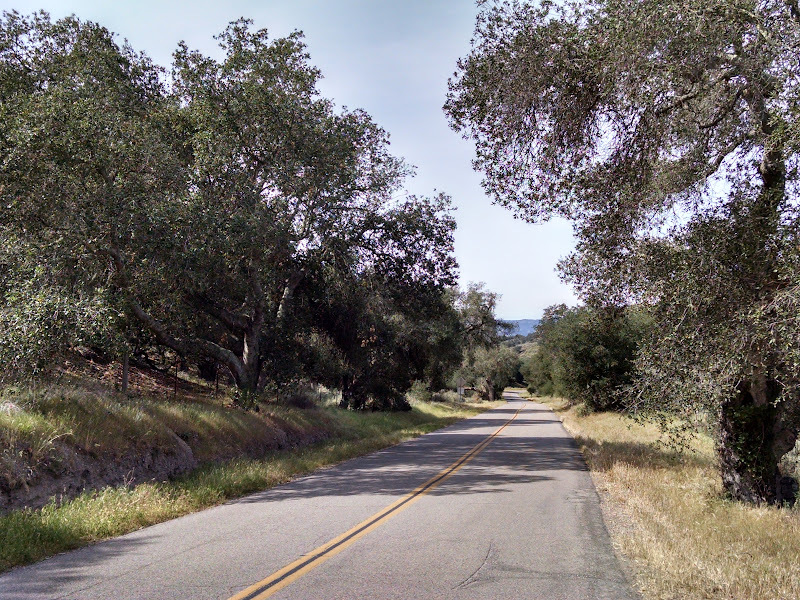 Initially Alamo Pintado Road and Baseline Avenue lead northeast through Santa Ynez Valley towards the San Rafael Mountains. Then Happy Canyon gradually ascends, climbs for three miles (one of them on dirt), briefly descends, and continues to climb for another two and a half miles. 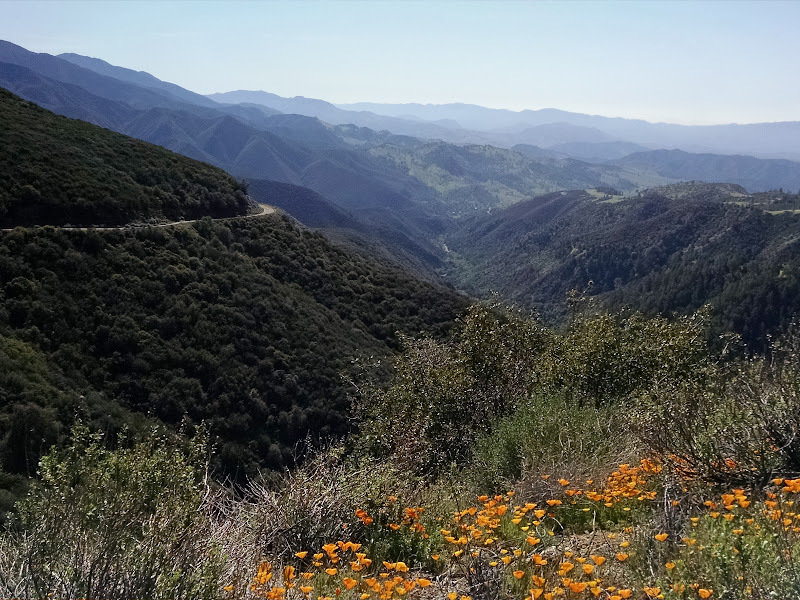 Next the ride turns west onto Figueroa Mountain Road, which climbs for three and a half miles to 4,400 feet. 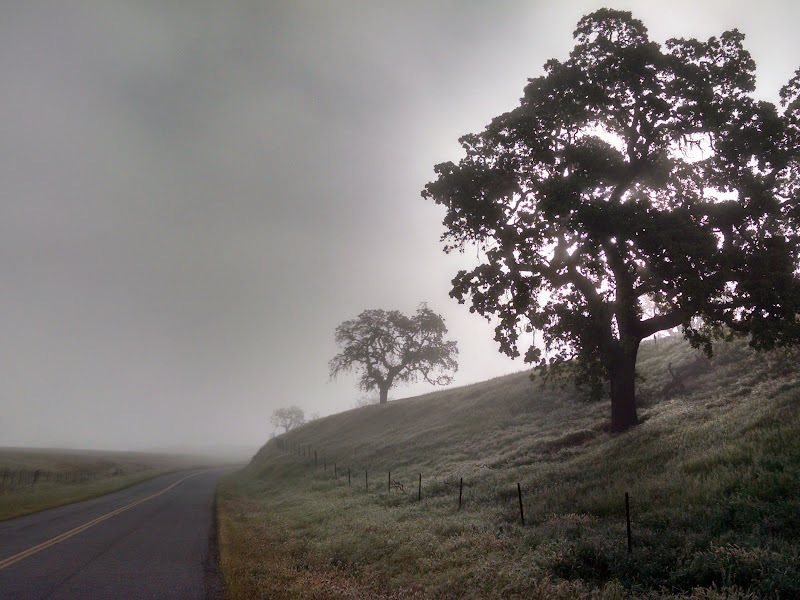 After a long descent on the west side of the mountain, Figueroa Mountain Road leads south into Los Olivos, passing Neverland Ranch. 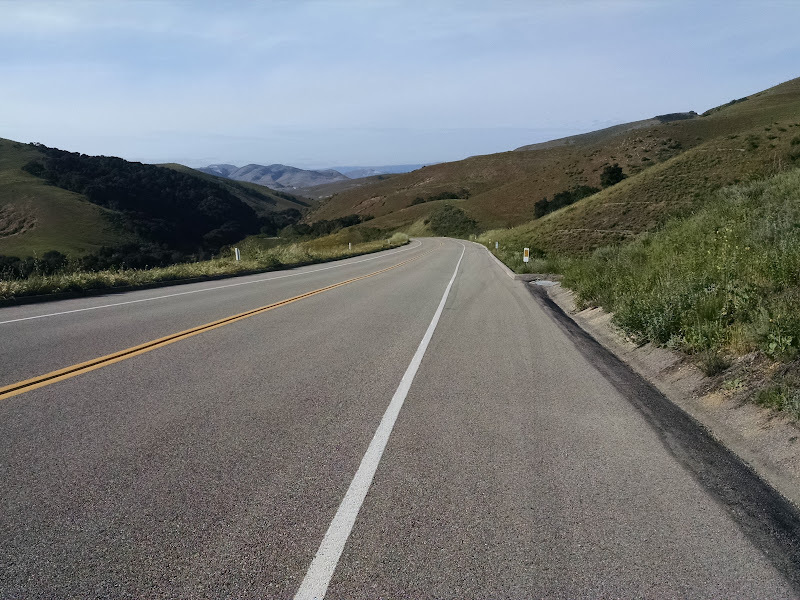 Highway 246 returns to Solvang and continues on to Buellton, where the route turns onto Santa Rosa Road. 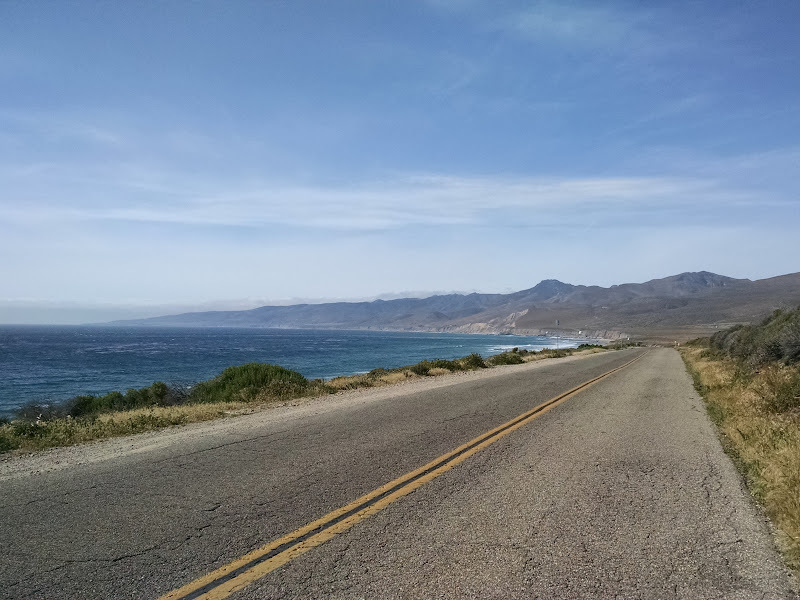 The course then leads south on Highway 1 and west on Jalama Road, which ends at secluded Jalama Beach. 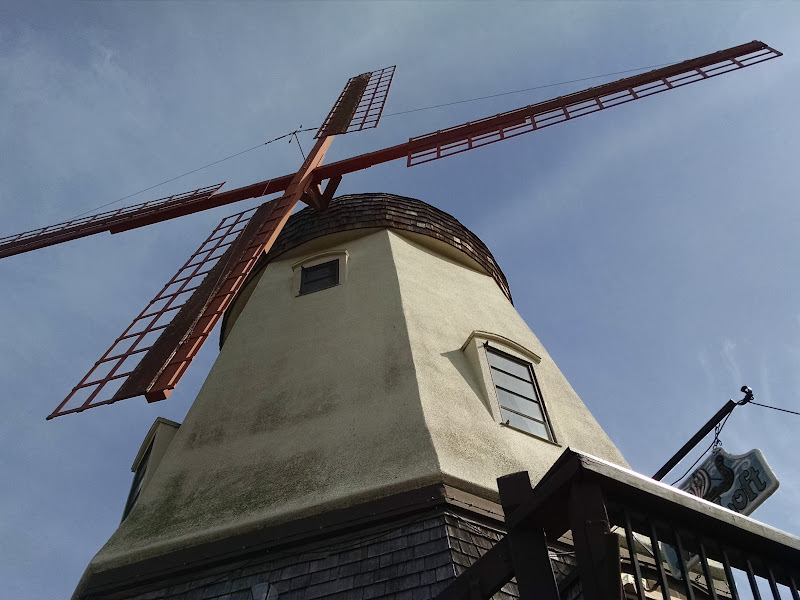 From here the ride returns to Solvang. 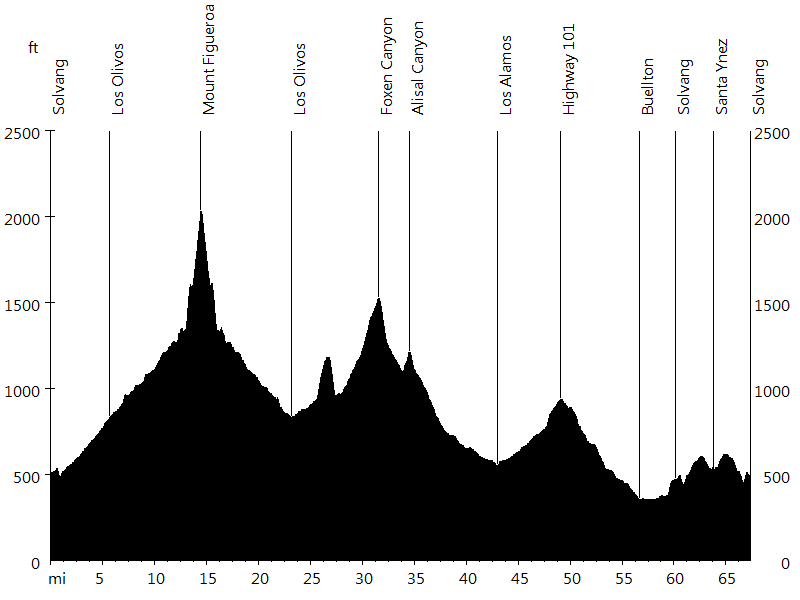 The medium course of day one leads out-and-back to Jalama Beach or in a loop over Figueroa Mountain. 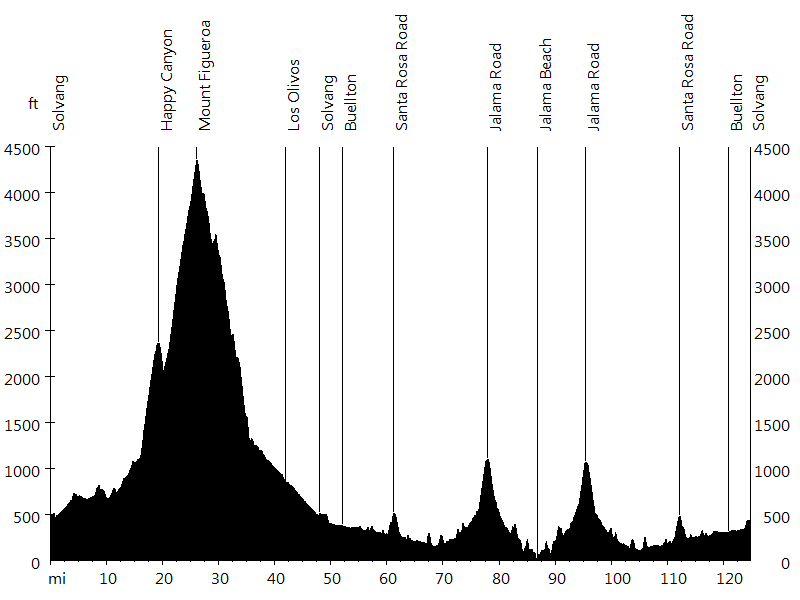 The short course of day one includes Santa Rosa Road. 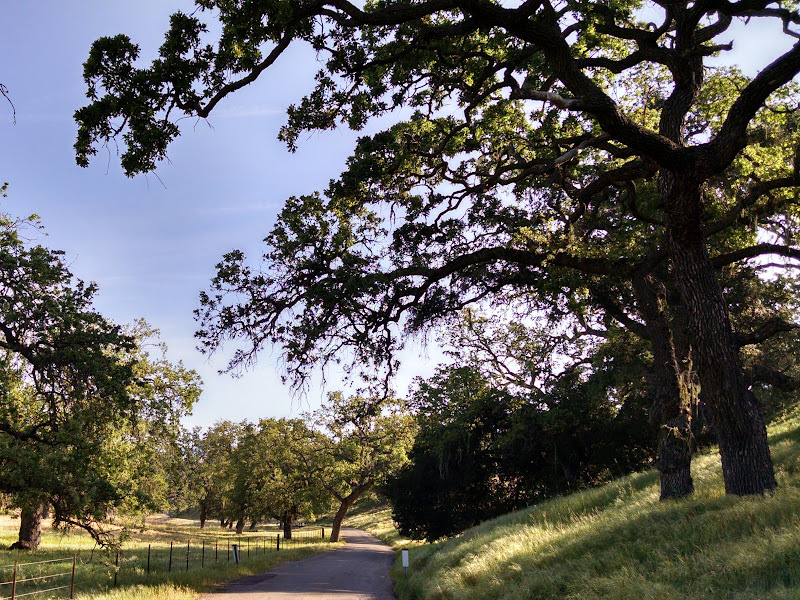 The long course of day two leads through Foxen, Alisal, Drum, and Ballard Canyon. 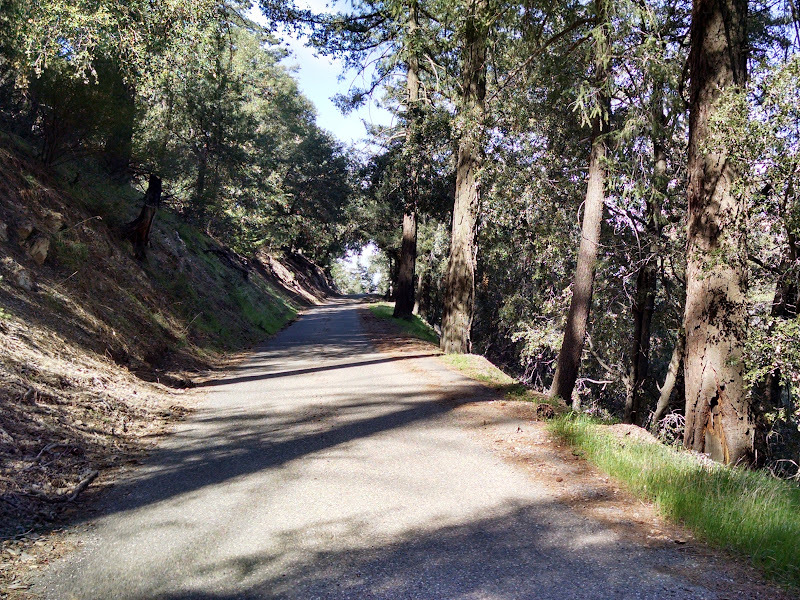 Due to a missed turn in Los Olivos, this ride partially leads up Figueroa Mountain, then returns to Foxen and Alisal Canyon, before visiting Los Alamos. 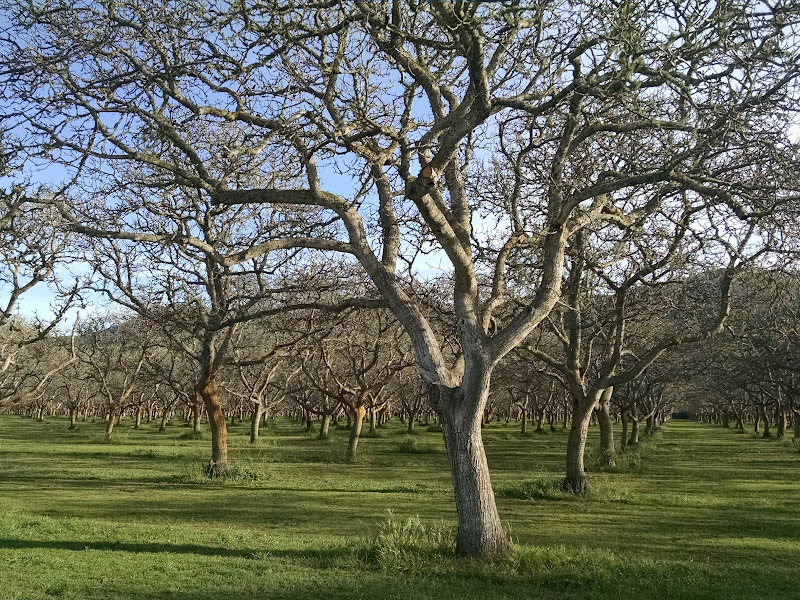 To make it back in time, the route follows Highway 101 to Buellton and Highway 246 to Solvang and Kalyra Winery. 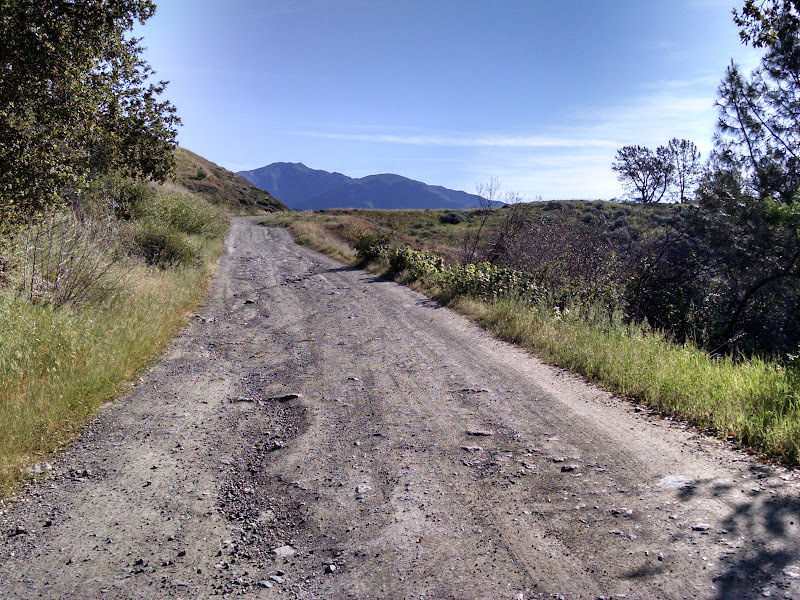 The short course of day two leads into Foxen Canyon and returns on Zaca Station Road. Group photo courtesy of Mike K.
The Life Ride is a truly inspiring event. I met interesting people, from cancer researchers and doctors, to survivors and previvors, generous donors, and cycling enthusiasts. My favorite part was the speakers in the evening. Joe Fay presented his vision for the Life Ride and talked about what it takes to make a difference in the war on cancer: people who are both able and willing to do so. Dr. Amy Weinberg shared how cancer has affected her family and discussed genetic testing and prophylactic surgery. Dr. Anat Epstein gave an overview of cancer research, talked about how $1 in seed funding has led to $31 from the National Cancer Institute, and mentioned that 30 percent of worthy research projects go unfunded nationwide. Jaylon Fong, a teenage two-time leukemia survivor, shared an inspiring message of courage and hope, finishing to a standing ovation.